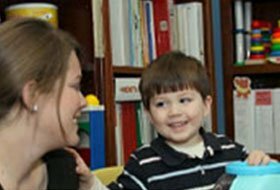 We offer speech therapy for children of all ages and a wide variety of diagnoses. We also offer speech therapy for adults with hearing loss, voice disorders, stuttering, or accent modification. 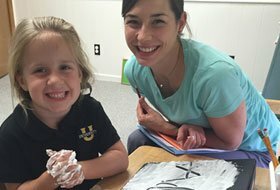 We offer occupational therapy to children with sensory processing, fine motor skills, visual motor/perceptual skills, and activities of daily living such as feeding, handwriting, and organization. We offer physical therapy to children with gross motor delays to improve their gait, balance, posture, and reflexes as well as fostering independence in their functional skills. We also offer wheelchair, equipment and orthotic evaluations. 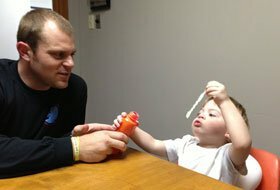 Auditory-Verbal Therapy is a family-centered approach promoting listening and spoken language for children with hearing loss who wear hearing aids or cochlear implants. 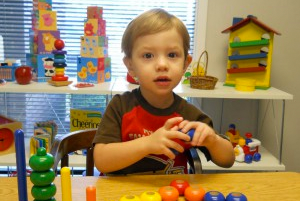 We have the only clinic in Louisiana with a LSLS Certified Auditory-Verbal Therapist. Our mission at Chesney Center Therapies is to provide excellent therapeutic services to our patients and their families with care and compassion. We want our patients to feel like they are part of a bigger family when they are here. We strive to empower our patients and their families with skills and strategies that will provide the greatest potential for a full, productive life. Call our office today to schedule a free speech & language screening for your child, aged 2 to 7.